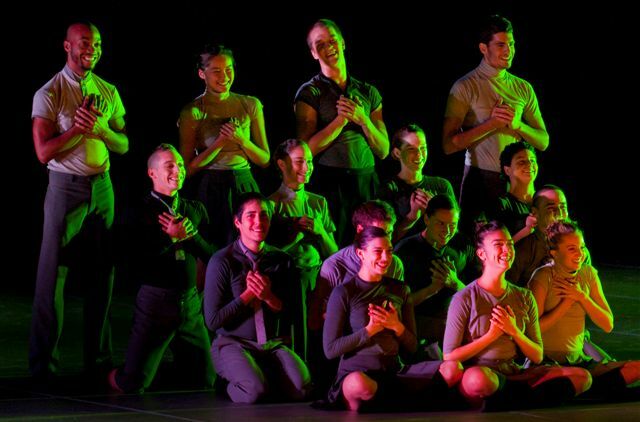 In 2007, the Adrienne Arsht Center brought the iconic Merce Cunningham Dance Company (MCDC) to Miami for the very first time, wowing audiences with their brilliant technique and stunning repertory. At that time, the Center was lucky enough to host the legendary choreographer himself, who created a brand new, world premiere performed by the company on the Sanford and Dolores Ziff Ballet Opera House Stage. 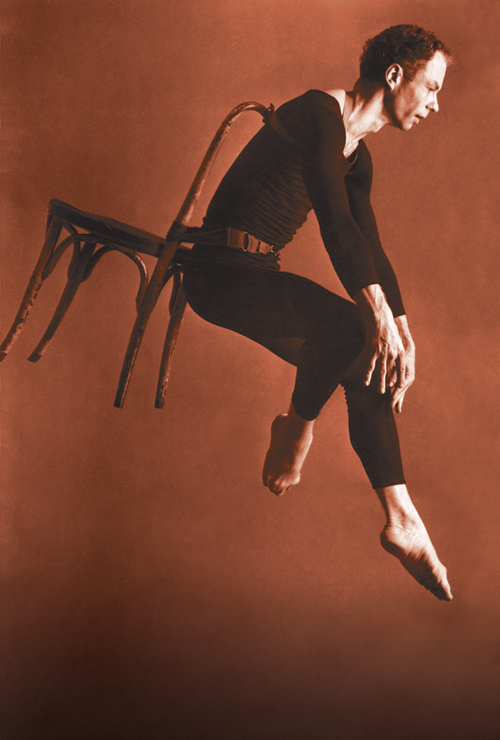 Now, MCDC returns as part of the historic Legacy Tour – celebrating the lifelong creative genius of Merce Cunningham in a posthumous final farewell tour. The company will once again grace the Ballet Opera House stage – this time in a special installation created specifically for the Adrienne Arsht Center — featuring dancers on three performance levels and audience members on stage with the performers! MCDC performs December 2-4, 2010, presenting South Florida with the once-in-a-lifetime opportunity to see Cunningham’s work in an unforgettably intimate environment, performed by the company he personally trained. The company’s Miami engagement coincides with Art Basel, and pays homage to Cunningham’s groundbreaking, multi-disciplinary artistic collaboration with two other giants of American culture, visual artist Robert Rauschenberg and composer John Cage. Dancers will wear original Rauschenberg costumes, and each performance will be accompanied by live music featuring members of the Sonic Combine. In a nod to Cunningham’s artistic collaboration with Miami/New York visual artist Daniel Arsham, who worked with him on the company’s last visit to the Adrienne Arsht Center, Arsham will create a site-specific installation in the auditorium of the theater. This thrilling engagement brings the Adrienne Arsht Center’s relationship with the Merce Cunningham Dance Company full circle – honoring Cunningham’s astounding body of work and remarkable contribution to American modern dance and culture – with a performance experience as extraordinary as the artist himself. The John S. and James L. Knight Foundation recently announced the winners of the 2009 Knight Arts Challenge, a community-wide contest to find the best ideas for the arts in South Florida. The Adrienne Arsht Center was fortunate to find itself among the 20 winners — a mix of individual artists, small nonprofits and some of South Florida’s largest and most venerable arts institutions, who collectively received $3.7 million in matching grants. 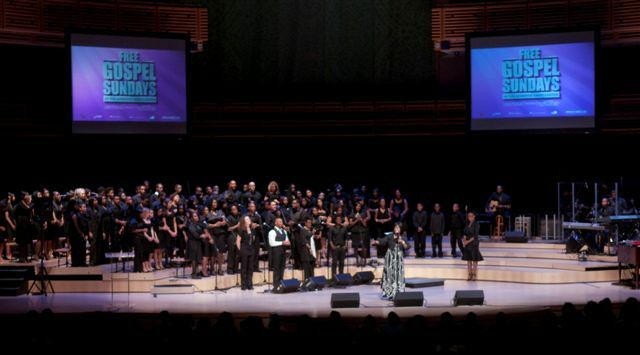 The Adrienne Arsht Center received a $200,000 grant for Free Gospel Sundays, the community-supported Gospel series featuring a number of South Florida church choirs paired with national Gospel headliners. Seeing an opportunity to unite the area’s diverse community through the arts, Knight Foundation has committed more than $40 million through the Knight Arts Challenge to help strengthen this vital sector. The John S. and James L. Knight Foundation had the foresight to recognize the impact Free Gospel Sundays would have on our community and has supported Free Gospel Sundays since 2008. With this second Knight Arts Challenge grant for the Gospel series, the Foundation has demonstrated its commitment to continue supporting Gospel music at the Adrienne Arsht Center into the 2010-2011 season. Why Gospel? Free Gospel Sundays reflects the Adrienne Arsht Center’s continued commitment to present programs focused on highlighting South Florida’s rich cultural diversity. “Nothing defines us more — or better — than our diversity. But the challenge of that diversity is to build a sense of community that is inclusive based on experiences and values we share. The arts in South Florida have the power to fuse culture, raise standards and enrich our collective life,” said Alberto Ibargüen, president and CEO of Knight Foundation. Knight Foundation does much more than bring the South Florida community together through the arts. The Foundation has become an integral part of the soul of the community. The Foundation funded a Gallup survey designed to explore the connection between economic growth and residents’ emotional attachment to their community. The Soul of the Community survey suggests a significant correlation between the two and found that Miami’s social offerings, its physical beauty and its openness to new and different people are the most determinative factors as to why Miamians love Miami. Arts and culture lovers in Miami would not be able to take pleasure in many of what this community has to offer if not for Knight Foundation. The Foundation builds a sense of community by supporting projects that allow the diverse communities to come together through the arts. Knight Foundation also understands which types of projects are vital to our community. After Concert Association of Florida ceased its operations earlier this year, the Adrienne Arsht Center made a commitment to present the most prestigious names in classical music and dance in its halls for generations of South Floridians to enjoy. With the support of Knight Foundation in the form of a challenge grant, the Adrienne Arsht Center was able to fulfill its promise of programming a full season of classical music and dance performers of the highest caliber and raise the crucial funds to present the John S. and James L. Knight MASTERWORKS SEASON. With arts organizations facing increasingly scarce resources, the Adrienne Arsht Center is launching a seminar series in the spring to help them achieve their creative potential in tough budget times. This seminar series will be co-sponsored by Knight Foundation. The seminar series will offer large and small non-profits tools for sustainability and expertise on traditional and Web 2.0 marketing, fundraising and board development, among other areas. All topics have been selected because they are critical to a nonprofit organization’s sustainability. The seminar series also will give these groups access to experts and insight typically out of reach. The Knight Arts Challenge will accept applications next year for the third round of its community grants contest. Because it is a matching grant program, winners must find funding to complement Knight Foundation’s investment. To find out more, or sign up for e-mail updates, visit www.knightarts.org. The John S. and James L. Knight Foundation advances journalism in the digital age and invests in the vitality of communities where the Knight brothers owned newspapers. 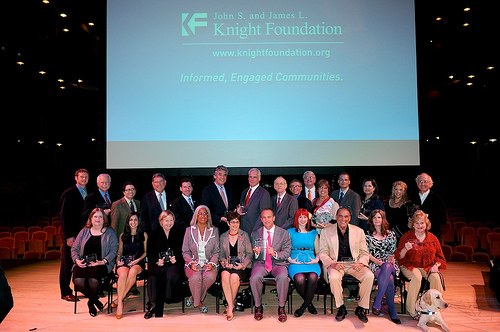 Knight Foundation focuses on projects that promote community engagement and lead to transformational change. For more information, visit www.knightfoundation.org. The Israel Philharmonic Orchestra’s (IPO) performance on December 16th marked the first presentation of the Sanford and Dolores Ziff Classical Music Series of the Center’s John S. and James L. Knight Masterworks Season. 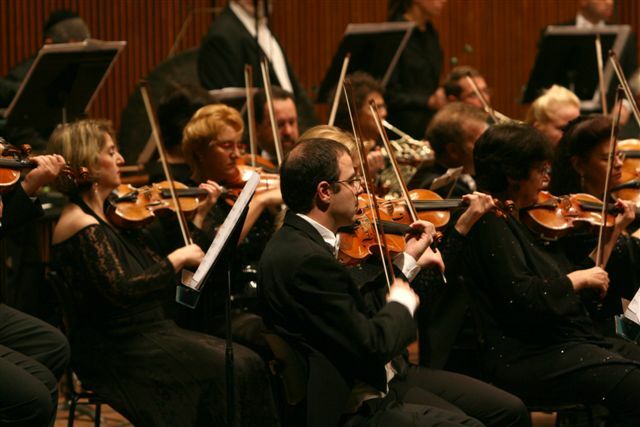 This concert also represented the Adrienne Arsht Center’s fulfillment of its promise to the community to present classical music after the Concert Association of Florida, the biggest presenter of classical music and dance in South Florida, ceased its operations in February 2009. For this performance, Maestro Pinchas Zukerman led the illustrious ensemble, “an orchestra of soloists,” in a program which included Ms. Amanda Forsyth playing two beautiful and seldom heard pieces by Bruch and another piece which featured Maestro Zukerman in an unusual double role: Zukerman conducted the ensemble while playing Haydn’s violin concerto at the same time—a truly magnificent moment to both see and hear! The offerings in the Sanford and Dolores Ziff Classical Music Series are made possible through the generosity of the John S. and James L. Knight Foundation, Dr. Sanford and Dolores Ziff and the Classical Encore Circle, a select group of patrons whose mission is to Restore, Stabilize, Vitalize, and Perpetuate (R.S.V.P.) classical performances at the Adrienne Arsht Center through their support and fundraising efforts. The group’s commitment and continued support will leave a legacy of music and dance to be enjoyed for generations to come. The Adrienne Arsht Center also recognizes the special generosity of Mrs. Sue Miller on behalf of the Miller Family Foundation for her support of the Israel Philharmonic Orchestra performance and Diane Star Heller for sponsoring the Itzhak Perlman performance in loving memory of her husband Daniel Neil Heller and his love for classical music. The 2009/2010 Ziff Classical Music Series continues with three more world-class programs, including Itzhak Perlman, Detroit Symphony Orchestra with Leonard Slatkin, and piano superstar Lang Lang. 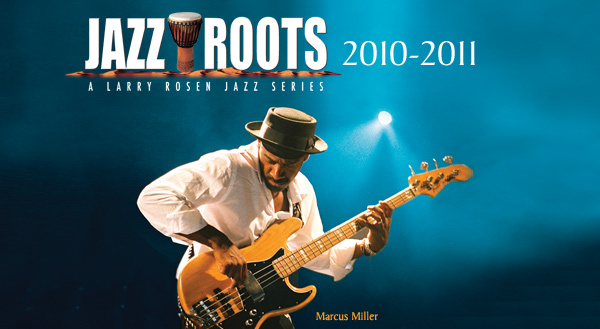 For more information about the series, please visit www.arshtcenter.org or call 305.949.6722. The December 5th performance of the Batsheva Dance Ensemble marks the opening of the John S. and James L. Knight Masterworks Season, which represents the Center’s first full offering of classical music and dance programming: the four-performance Sanford and Dolores Ziff Classical Music Series and the three-part Sanford and Dolores Ziff Dance Series. Sanford and Dolores Ziff are generously supporting Masterworks with a $500,000 pledge, sponsoring the series over the next five years. With this pledge, they join the Adrienne Arsht Center’s Classical Encore Circle, a dedicated group of patrons who are committed to assuring that classical music and dance are part of the Miami community now and for years to come. 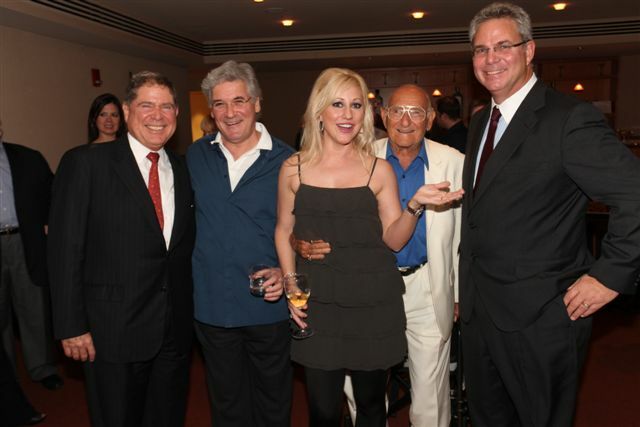 When asked about their generous contribution, Dr. Ziff stated, “It is a great pleasure to watch audiences enjoy the world’s most renowned classical music artists in one of the most spectacular concert halls in the United States. I am proud to support the Adrienne Arsht Center as it enters a new era of presenting classical music and am pleased to know that our community will be able to continue enjoying this transformational art form”. Frequent visitors to the Adrienne Arsht Center may recognize Dr. Ziff and his wife Dolores as fixtures in our halls. 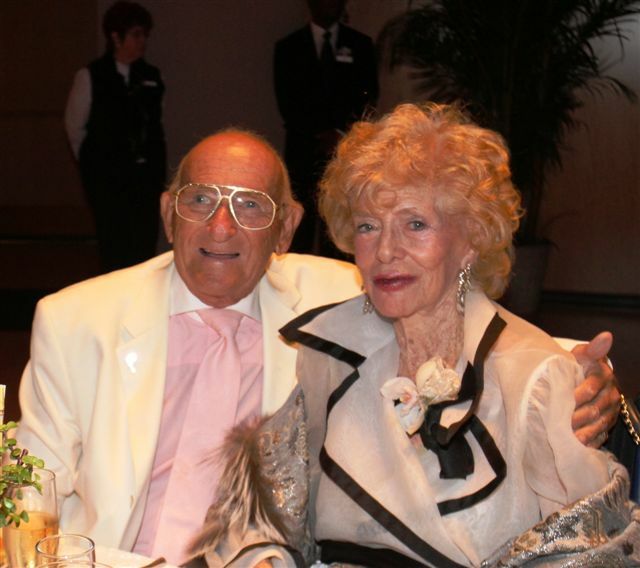 Dr. Ziff in his signature white suit and Dolores dressed in the latest fashion finery; they are always present with a smile and a kind word for everyone they meet. 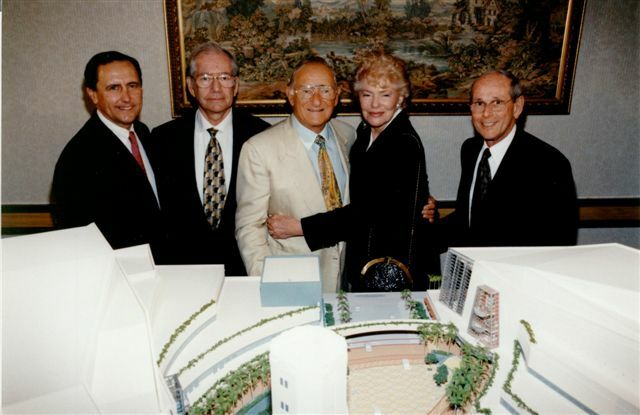 Although their $10 million gift to name the Sanford and Dolores Ziff Ballet Opera House was their largest single gift to a Miami-Dade cultural organization, Dr. and Mrs. Ziff are long-time supporters of the performing arts and culture in South Florida. The visual arts have also benefitted from the Ziffs’ involvement: the Miami Art Museum, received the donation of a Jean Dubuffet painting; the Lowe Art Museum at the University of Miami named a wing in their honor; the Museum of Contemporary Art in North Miami; the Bass Museum of Art; the Viscaya Foundation; and the Art Museum at Florida International University. Dr. Ziff served the Miami community for more than 50 years as an optometrist and Founder, Chairman and CEO of Sunglass Hut International. He was born in Akron, Ohio and graduated from the Illinois School of Optometry in Chicago and moved to Miami in the mid-1940s, where he established his practice. He opened offices in Dadeland Mall and made a reputation for himself as a contact lens specialist, conducting clinical research and lecturing all over the world. In 1971, he created Sunglass Hut, which became a successful international business enterprise. Sunglass Hut was sold in the early 1990s and Dr. Ziff devoted his energy and financial resources to supporting a wide range of social service, education, cultural, and religious activities. Dr. and Mrs. Ziff are passionately committed to improving the quality of life in the community. Dolores shares her husband’s zest for life and has enjoyed an eclectic range of experiences. Her interests include the fine and decorative arts, theater, culinary invention, style and fashion, and even agriculture. Mrs. Ziff was an actress with the British Broadcasting Company and was in the first James Bond film Dr. No, subsequently appearing in two additional Bond films. She worked with famed British director Peter Brook, casting his film of William Golding’s novel Lord of the Flies, for which Brook received an Oscar nomination. During that period she lived in Jamaica, and then became a Morgan horse breeder on a large working farm in Vermont, and later owner and grower of prime apple tree orchards in North Carolina. Mrs. Ziff has distinguished herself as an activist and volunteer leader for a wide range of community agencies and civic and political organizations, including the Camillus House Board, the Citizens’ Board, the Smokey Mountain Railway Board and Linda Ray Children’s Center, where both she and Dr. Ziff served as Trustees. Mrs. Ziff was also a member of the International Board for the Bolshoi Ballet, FIU’s Tower Society and Film Advisory Board, and the Vizcayans. Dr. Ziff continues to lend his professional expertise to several educational and not-for-profit institutions, among them, the School of Business and Entrepreneurship at the University of Miami, St. Thomas University, and Nova Southeastern University, where he served as a guest lecturer. He also participated on the “Distinguished Professors Lecture Series” at Johnson and Wales University, designed to provide Chefs in Training with insight into business and entrepreneurship. The Sanford and Dolores Ziff Classical Music Series will present four diverse works by the highly regarded Israel Philharmonic Orchestra, conducted by Pinchas Zukerman, on December 16; a solo recital of audience favorites by four-time Emmy Award and 15-time Grammy Award-winning violinist Itzhak Perlman on January 12; the Detroit Symphony Orchestra, under the baton of the internationally recognized American conductor Leonard Slatkin, on February 14; and outstanding pianist Lang Lang accompanied by the Schleswig-Holstein Music Festival Orchestra, on March 29, conducted by Christoph Eschenbach. The four-part series will take place entirely in one of the most acoustically superb concert halls in the world – the Center’s John S. and James L. Knight Concert Hall. Photo from the Founding Donors Dinner; Photo by Kelly Gavin. The Sanford and Dolores Ziff Dance Series will present multiple performances by three outstanding companies: Batsheva Ensemble on December 5 and 6; The Joffrey Ballet on March 26 and 27; Alvin Ailey American Dance Theater on May 20 – 23. Community support and quick work by the world’s leading performing arts organizations have ensured that classical music and dance presentations continue to have a home in Miami. Thanks to a $200,000 challenge grant from the John S. and James L. Knight Foundation, a $500,000 pledge over five years from Dr. and Mrs. Sanford L. Ziff and $80,000 in additional private support from the Classical Encore Circle, the Adrienne Arsht Center will present its first full offering of classical music and dance programming. 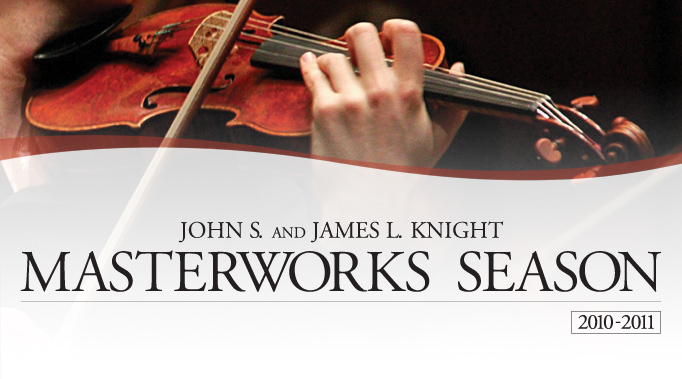 The inaugural JOHN S. AND JAMES L. KNIGHT MASTERWORKS SEASON will include the four-performance Sanford and Dolores Ziff Classical Music Series and the three-part Signature Dance Series, as well as a variety of special events that will be made available to subscribers on a priority basis. “As we evolve into a new and greater Miami, informed by all manner of cultural influences, it’s essential that we keep alive and vibrant the influence of classical music and dance. They are essential parts of our heritage. Knight Foundation’s Miami Program Director, Dennis Scholl, and I are proud to join Sandy and Dolores Ziff in support of these series. We’ve made this a challenge grant to encourage others to embrace this opportunity and ensure classical music and dance for Miami at the Knight Concert Hall and the Ziff Ballet Opera House,” said Alberto Ibargüen, President and CEO of the Knight Foundation. “It is a great pleasure to watch audiences enjoy the world’s most renowned classical music artists in one of the most spectacular concert halls in the United States. I am proud to support the Adrienne Arsht Center as it enters a new era of presenting classical music and am pleased to know that our community will be able to continue enjoying this transformational art form,” said Dr. Ziff. “In a short amount of time, the Adrienne Arsht Center has successfully ensured the continued presentation of the magnificent art forms that our community supported for 40 years and will continue to embrace for generations to come. As impresarios, we are proud to have assembled a season that brings to the Adrienne Arsht Center stage four of the world’s great orchestras and renowned musicians; three stunning dance ensembles, and three iconic performers,” continued Richard. The SANFORD AND DOLORES ZIFF CLASSICAL MUSIC SERIES will present four diverse works by the highly regarded Israel Philharmonic Orchestra, conducted by Pinchas Zukerman, on December 16; a solo recital of audience favorites by four-time Emmy® Award and 15-time Grammy® Award-winning violinist Itzhak Perlman on January 12; the Detroit Symphony Orchestra, under the baton of the internationally recognized American conductor Leonard Slatkin, on February 14; and outstanding pianist Lang Lang accompanied by the Schleswig-Holstein Music Festival Orchestra, on March 29, conducted by Christoph Eschenbach. The four-part series will take place entirely in one of the most acoustically superb concert halls in the world – the Center’s John S. and James L. Knight Concert Hall. The SIGNATURE DANCE SERIES will feature a selection of world-renowned dance companies including one of Israel’s leading cultural ambassadors, the Batsheva Ensemble on December 5 and 6; the internationally acclaimed American dance company The Joffrey Ballet on March 26 and 27; and the return of Miami favorite Alvin Ailey American Dance Theater from May 20 – 23. The three-part series will take place in the Sanford and Dolores Ziff Ballet Opera House. Also announced as 2009-2010 season SPECIAL EVENTS are two spectacular holiday performances. Following two years of sold out performances, Miami’s own Seraphic Fire returns to deliver their powerful, critically-acclaimed performance of Messiah on December 19. The all-female vocal ensemble Sweet Honey in the Rock performs their unique blend of blues, gospel, rap and reggae-inspired sounds in a special “Holidays with Sweet Honey in the Rock” performance on December 11. Plus, an evening with the man who Frank Sinatra called “the best singer in the business” – the legendary crooner Tony Bennett – on January 8.